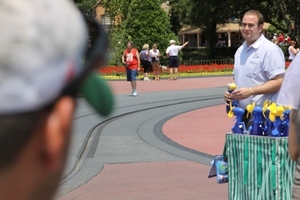 FFA - Airplane banner that warned families about Gay Day at Disney 2011 was a HUGE SUCCESS. 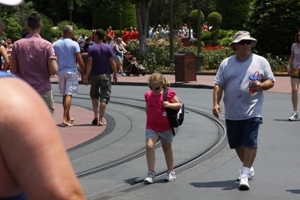 Florida Family Association’s team in the park estimates that attendance by mainstream families was down approximately 50% to 60% over the average attendance of the last ten years. Florida Family Association’s effort to warn families about Gay Day at Disney by using a plane banner was a huge success. This success is measured by the very low attendance of families in the Magic Kingdom, media coverage of the banner and gay activist response to Florida Family Association’s project. Florida Family Association hired an aircraft company to pull a banner to warn families about Gay Day at Disney World. The banner flew on Friday, June 3rd from 9 am to 7 pm and on Saturday, June 4th from 7 am to 5 pm. 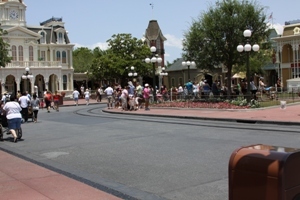 VERY LOW ATTENDANCE BY FAMILIES AT THE MAGIC KINGDOM Florida Family Association’s team in the park has never witnessed a day at the Magic Kingdom where so few mainstream families were in attendance. The team estimates that attendance by mainstream families was down approximately 50% to 60% over the average attendance of the last ten years. 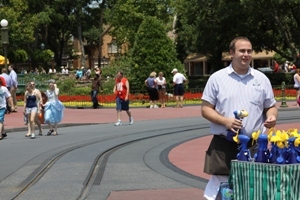 Because of the significant reduction of mainstream families in the park Gay Day patrons’ appearance was much more visible. 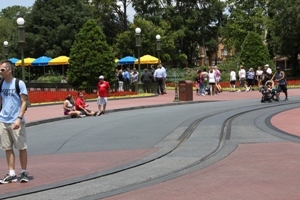 Main Street was fairly barren until about 10:45 am. A small influx came in until about noon. However, after that fewer than 30 people arrived on each ferry. Additionally, there were only about twenty people in line for tickets at 1 pm on a beautiful mild day in Central Florida. 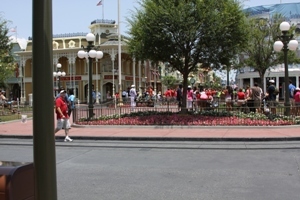 The four photographs below were taken around 1:00 pm in front of Cinderella's Castle which is at the end of Main Street. The three photographs below were taken around 1:05 pm in front of the train station at the beginning of Main Street. 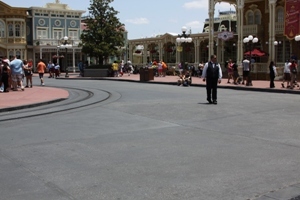 Clearly all of these photos show an extraordinary drop in attendance at the Magic Kingdom during Gay Day. Florida Family Association estimates the drop in regular families attending during this day is around 60 %. GOOD MEDIA COVERAGE: WESH/CNN issued a news wire titled “‘Gay Day warnings flown over Disney World’” along with a photograph of Friday’s banner. This news report was covered by dozens of news organizations across the country. The issuing news agency WESH/CNN included a photograph of the banner apparently taken by a news crew in the air. Some of these news reports are posted at the end of this email. ORGANIZED RESPONSE BY GAY ACTIVISTS: Florida Family Association received hundreds of emails from people who basically wrote the same message. Their message allegedly thanked Florida Family Association for flying the banner because it reminded them to attend Gay Day at Disney. Problem is that 95% of these people sent these email messages from IP addresses from other states and could not possibly have seen the banner nor visited Disney World on Saturday, June 4th. Clearly, these gay activists are worried that their ability to unduly influence a captured audience of children and mainstream families has dwindled fast. Florida Family Association will sponsor this effort next year with the goal of warning even more families about this offensive event. A SPECIAL THANKS to everyone who gave generously and prayed earnestly for this effort. YOU MADE A DIFFERENCE.